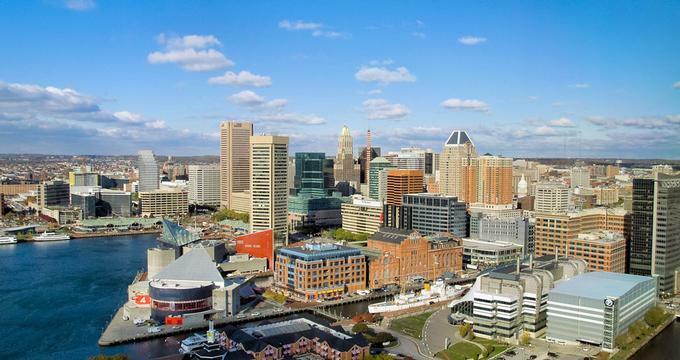 Baltimore, Maryland, offers an array of free attractions, great museums, parks, hotels, wedding venues and excellent restaurants for couples and families planning a weekend getaway. View ancient works of art at The Walters Art Museum and the Baltimore Museum of Art, stroll through the beautiful Sherwood Gardens, and dine at excellent seafood restaurants. 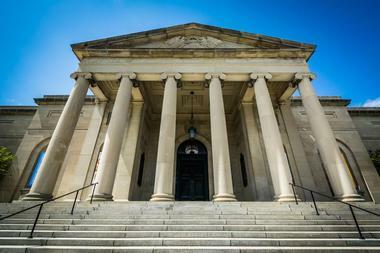 Founded in 1934, the Walters Art Museum, located on North Charles Street in Baltimore’s Mt. Vernon Cultural District, is one of the top Baltimore, Maryland attractions. William Walters and his son Henry Walters organized the museum’s collection: the artwork was initially displayed in the family’s mansion, but a new palazzo-style building was later constructed in the early 1900s to house the collection. 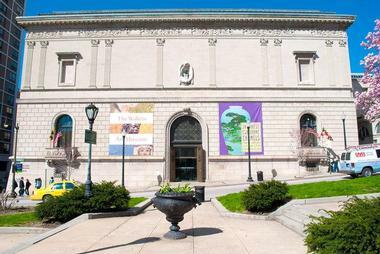 The Walters Art Museum contains art from ages of antiquity to the 20th century, including Asian, Byzantine, Egyptian, Greek, and Roman artwork. The museum offers free walk-in tours as well as family and school tours led by trained volunteer docents. The museum is open from Wednesday to Sunday. After a visit to the Maryland Zoo, you will feel like you’ve gone on a voyage through the African savannahs. At this incredible zoo, you have the opportunity to visit Samson the elephant or Hassan the lion and his cubs, Luke and Leia. Get a sense of the Panamanian jungle when you visit endangered Panamanian Golden Frogs in the Chimp forest. If you are bringing kids, take them to the Giraffe Feeding Station, where the long-necked creatures will literally slurp the food right out of their hands. If you are looking for fun things to do in Baltimore with kids, be sure to stop by the zoo. There are more than 1,500 animals of 200 species in the zoo, and you can see many varieties of birds, mammals, amphibians, and reptiles in the settings that replicate their natural habitats. 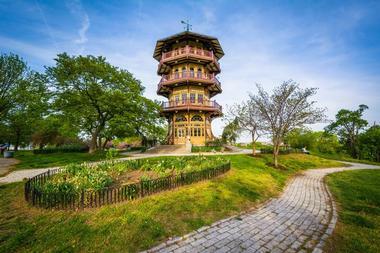 The Maryland Zoo is located in Druid Hill Park and sits on about 160 acres of land. 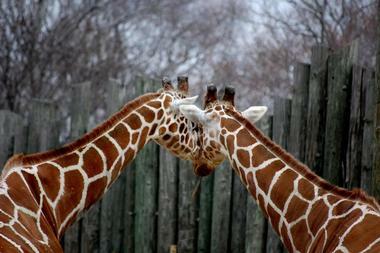 It was established in1876, and it is the third oldest zoo in the U.S. Opened in 1981 as part of Baltimore’s urban renewal project, the National Aquarium is located on East Pratt Street on the Inner Harbor. This enormous aquarium holds over two million gallons of water and is home to more than 17,000 aquatic animals representing over 750 species. In addition to the aquarium, there is also a 4D Immersion Theater and several exhibits of interest, including the open ocean shark tank and the marine mammal pavilion. The National Aquarium offers several guided tours such as the “Insider’s Tour” and the “Shark Behind the Scenes Tour.” It also offers programs such as “Dine and Discover” and “Sea and Tea.” If you are wondering what to do in Baltimore on a rainy day, the aquarium is a great place to visit. 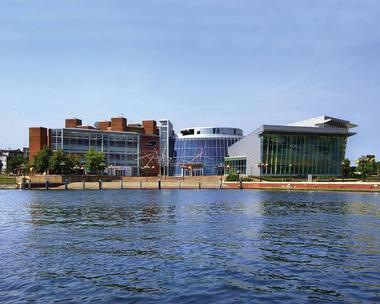 Located in Baltimore’s Inner Harbor, the Maryland Science Center helps visitors experience science as something fun, exciting, and inspiring. The center’s mission is to create awareness about the important role science plays in day-to-day life and to motivate young people to consider pursuing careers in science. The Center features a large modern IMAX theatre, the Ramsey observatory, and many permanent and temporary exhibits. The Maryland Science Center is one of the best things to do in Baltimore with kids. Kids can easily get hooked on science after looking through a telescope, playing with real lab equipment, or watching the inside of their own bodies on a special screen. The Maryland Science Center is great fun for both children and grown-ups. Its many outreach programs and interactive exhibits attract huge numbers of teachers and students. 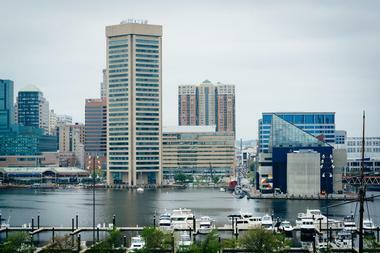 You might have a hard time deciding what is more fun to do at the Baltimore Inner Harbor: people-watching from one of the many waterfront outdoor restaurants and cafes or visiting one of the numerous attractions. The Maritime Museum showcases an impressive number of ships, the Observation Level of the World Trade Center offers a spectacular view of the city, and the National Aquarium houses more than 17,000 fascinating underwater creatures. You can also see the harbor as you cruise along on the Big Red Boat. When you inevitably get hungry, you might want to try some of the fabulous shrimp at Bubba Gump Shrimp Co. Located on West Pratt Street to the west of Baltimore’s Inner Harbor, the Baltimore B&O Railroad Museum exhibits historic railroad equipment that will be of interest to all visitors. When it opened in 1953, the museum was called the Baltimore & Ohio Transportation Museum. Today, it is known for having one of the world’s largest collections of locomotives and other railroad-related items. It is housed in the Mount Clare station and roundhouse, the birthplace of the American Railroad. There are several children’s programs, including Kids Zone and Toddler Time, and the museum also plays host to birthday parties from time to time. Group tours for adults, seniors, and students are also available, and a ride on the Mile One Express is included depending on the time of year. The museum is open every day. Feel’s Point is an excellent reminder of Baltimore's British nautical roots. It is named for the Englishmen Mr. Fell, who founded a ship-building company in this location in 1726 and later became famous for his "Baltimore Schooners." The waterfront neighborhood is an exciting and lively location that hasn’t changed much since its glorious days of the past. As you stroll through Fell’s Point, you can see many beautiful and charming 18th- and 19th-century homes and storefronts. Fell’s Point is also home to the Baltimore Farmers’ Market and some incredible restaurants. If you’re feeling hungry, sample goodies at the market, grab some oysters at one of many bars, or get a piece of pizza at Verde. If you are looking for things to do in Baltimore this weekend, there is always some sort of music performance going on, which really gets the night going. Located on West Camden Street not far from Baltimore’s Inner Harbor, Oriole Park at Camden Yards is the home of a professional baseball team, the Baltimore Orioles. Also known as Camden Yards, Oriole Park first opened in 1992 as a “retro-classic” ballpark; the architecture pays tribute to the golden age of baseball yet includes all the facilities of a modern baseball park. Public tours last about one hour and 30 minutes and are held every day; private group tours are also available. 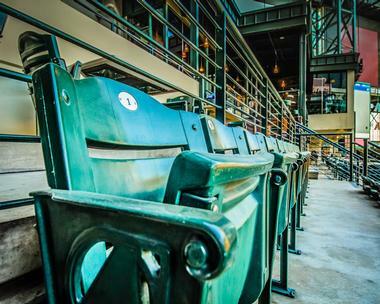 Tours include a visit to the dugout, the press level, the suite level, and much more. Visitors will also learn about Babe Ruth, the Inner Harbor, and the B&O Railroad throughout their tour. If you do not know what to do with your extremely energetic kids on a rainy day, take them to the Port Discovery Children's Museum. The museum, located in the historic and beautifully renovated Fish Market building in the Inner Harbor, is one of the top family attractions in Baltimore. It has three floors of interactive exhibits that encourage learning through play, and it offers a number of constantly changing programs for kids. There’s something for every child, from infants to 10-year-old children. Toddlers can crawl around in Tot Trails, and older kids bursting with energy can spend some of it at Kick It Up! Everyone is welcome to splash to their heart’s content in Wonders of Water. For those who like to play house, they can spend time at the Royal Farms Convenience Store and Fill’er Up Station. They can also cook and sell food in Tiny’s Diner or climb and slide through KidWorks, a 3-story urban tree house. Located on the Ann Street Pier at Fells Point on Baltimore’s Inner Harbor, Urban Pirates creates an interactive pirate adventure for the young and the young at heart. Custom built pirate ship the Fearless sails the Inner Harbor while crew members teach guests how to lead the life of a pirate: you will learn how to dance, how to sing, and how to talk. Sashes, temporary tattoos, and vests are provided for the family adventure. Family Adventure Cruises operate every day and Adult B.Y.O.G (Bring Your Own Grog) Cruises operate Thursday to Saturday. Urban Pirates also hosts special private charters and events like birthday parties, reunions, and corporate events. Best known for its role in the War of 1812, Fort McHenry is a star-shaped fort that is part of the U.S. National Park Service’s Fort McHenry National Monument and Historic Shrine. It is located on East Fort Avenue just south of Baltimore’s Inner Harbor. The fort successfully defended Baltimore Harbor when the British navy attacked it. It was this battle that inspired Francis Scott Key to write the words of The Star-Spangled Banner, which later became the national anthem of the United States. The park welcomes school field trip groups, and one of the park’s programs helps children to earn a Junior Ranger badge. The park is open every day. 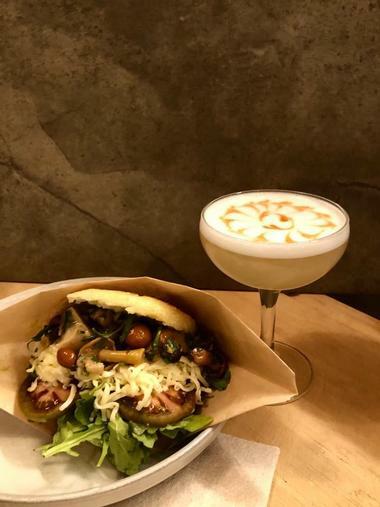 Cheerful and bright, , Clavel brings the festive atmosphere, traditional small plates, and drinks of Mexico to Baltimore’s Remington neighborhood. This small taqueria and mezcaleria, with open rafters covered in cheerful holiday lights, serves upscale versions of traditional Mexican snacks such as seven different kinds of tacos, quesadillas, ceviche, and tortas. The hip crowd that flocks to this downtown eatery washes down their spicy delights with specialty mezcals or cold beer, filling the place to the rafters and spilling out onto the few outdoor tables. Be prepared to wait for a table, but such dishes as frijoles puercos and queso fundido make it worthwhile. B&O American Brasserie is an elegant brasserie-type restaurant located in Hotel Monaco in a beautifully preserved Beaux Arts building, which used to be the headquarters of the Baltimore and Ohio Railroad – hence the name B&O. The atmosphere is that of a luxurious train coach, complete with leather seats and long tables. It is easy to imagine travelling to distant places when you dine at this restaurant. The delicious cuisine is modern American, and it is presented with exceptional flair. Ingredients are seasonal and locally sourced. The fish is sustainable, the steaks are hand-cut and there are plenty of options for vegetarians. The place is packed during happy hour, and the handcrafted classic cocktails are extremely popular. If you are looking for unique date night ideas in Baltimore, try this unique restaurant. Located at 10 Art Museum Drive near Johns Hopkins University, the Baltimore Museum of Art is famous for its collection of 19th century and modern art works and is one of the best things to do in Baltimore. The museum was originally founded in 1914, but the Roman temple style building was not constructed until 1929. It houses more than 90,000 works of art that span many centuries, from Byzantine art to contemporary art. One of the highlights of the museum is the Cone Collection. The two Cone sisters collected and donated several pieces of 20th century artwork by famous artists like Cezanne, Gauguin, Manet, Picasso, Renoir, and many more. The museum also has the world’s largest collection of works by Matisse. Outdoor events like music concerts take place in the lovely sculpture garden. 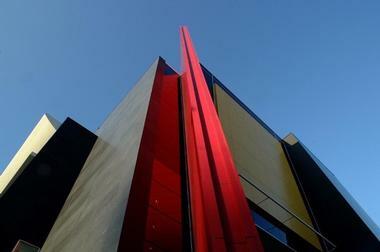 The museum is open from Wednesday to Sunday and entry to the BMA is always free. More Vacation ideas: Best Things to Do in Mobile, Alabama and Best Places to Visit in Alabama. 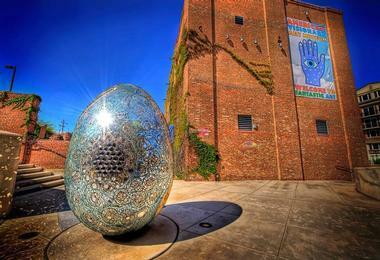 Located on Key Highway in Baltimore’s Federal Hill neighborhood near Inner Harbor, the Baltimore American Visionary Art Museum focuses on “outsider art,” which is also sometimes referred to as “raw art” or “intuitive art.” The museum contains 67,000 square feet of space in which it exhibits its permanent collection of about 4,000 pieces of artwork. In addition to the museum’s main exhibition area, there are several other points of interest throughout its one-acre campus, including the Jim Rouse Visionary Center, which hosts events and large exhibitions, as well as the Tall Sculpture Barn and the Wildflower Garden. 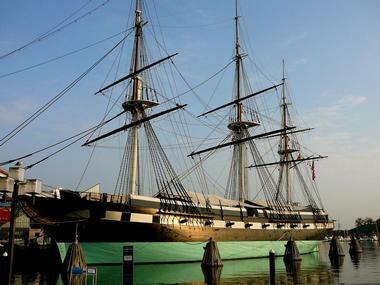 The Historic Ships in Baltimore is a collection of four museum ships and one lighthouse. This maritime museum is located on East Pratt Street on Baltimore’s Inner Harbor. Listed on the National Register of Historic Places, this massive collection includes the USS Constellation, an 1854 sloop-of-war, the Chesapeake, the USS Torsk, a World War II submarine, the USSCGC Taney, a Coast Guard cutter, and a lighthouse called the Seven Foot Knoll Light. The museum offers several guided tours such as the “Ship as a Machine,” the “Powder Monkey Tour,” and many more. The “Overnight Adventure” is a hands-on experience and includes meals and a hammock or bunk. Stephen A. Geppi, comic book and pop culture collector and entrepreneur, first opened Geppi's Entertainment Museum in 2006. The establishment celebrates 250 years of America’s pop culture history through a series of entertaining exhibitions. The museum is located in the old Camden Station at Camden Yards. Grownups can revisit their childhood and remember all the old friends they grew up with – characters from comic strips, books, radio and TV shows, cartoons, films, and much more. Furthermore, parents can introduce these beloved characters to their children. The museum exhibits almost 6,000 pop artifacts including toys, comics, dolls, games, and all sorts of pop culture memorabilia. You can see all your favorites: Superman, Batman, Spider-Man, Mickey Mouse, Barbie, and others. The museum provides great fun for kids of all ages. Fun destinations: Things to Do in Chicago, Southwest vacations and Things to Do in Orlando. Costas Inn is a Baltimore institution. In operation since 1971, this enormous, no-frills establishment somehow manages to feel homey and comfortable at the same time. People come to eat at Costas from all over the world thanks to several TV appearances featuring their famous crabs. They have an extensive menu with fantastic soups and great beef, but most people order the crabs. They are flown in daily, hand sorted and graded so that only the freshest and most flavorful crabs reach the customers’ plate. The crab cakes are not to be missed as well. 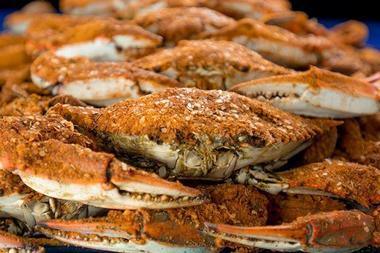 You can now even order their crabs online, anywhere in the country. 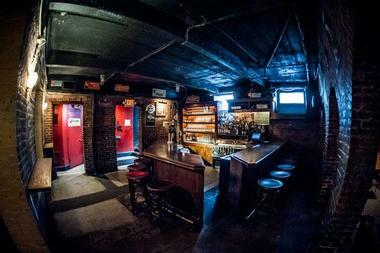 The establishment features karaoke on Saturday nights and live music on Friday nights. Sundays are NFL Football nights – guests can enjoy great food while watching NFL games on ten huge plasma TVs. If you need more than toast and coffee to start the day and if you like to linger over your breakfast or brunch, Miss Shirley’s Café is right up your alley. Modern but made cozy by brightly colored walls and comfortable banquettes, Miss Shirley’s combines Southern cuisine with Chesapeake Bay fresh ingredients, with the addition of lots of great seafood. You will get truly delicious crab cakes, oysters encrusted with cornmeal, French toast stuffed with pumpkin cheesecake, and other decadent delights, all fresh and made in-house from scratch. Of course you can get fried green tomatoes and corn bread, and they also offer Bloody Mary’s and mimosas. The menu is the same whether you come early, before work, or for lunch during the weekend, so think about having that refreshing Bloody Mary if you are heading to work. 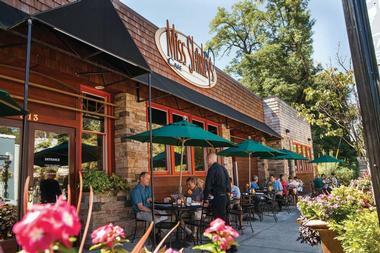 You can find Miss Shirley's at three locations: Roland Park, the Inner Harbor, and Annapolis. Located in a lovely historic mansion in Baltimore's Mt. Vernon neighborhood, The Brewer's Art is a beer lover’s delight. They brew their award-winning Belgian-style ales on site, and Chef Ray Kumm has developed a fantastic Bavarian-inspired menu. The bar on the ground floor is always packed and lively, while the back dining room is elegant and romantic. Intimate and softly lit rooms on the lower level are just perfect for indulging in beer tasting. The menu is rather diverse, and features dishes that range from Grilled Kassler Rippchen, house cured ham steak with warm German potato salad, to the grilled vintage hanger steak with rosemary garlic fries. The bar has its own menu with plates like Pork Belly BLT or Brewer’s Art cheeseburger. The bar is simpler than in the dining room, but its cuisine is no less divine. 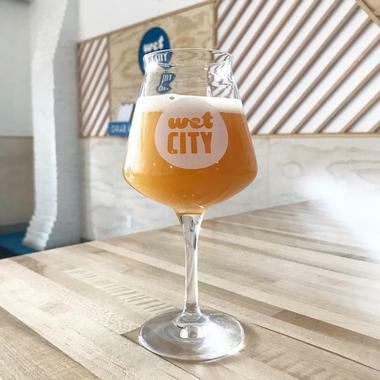 Wet City is a curious gastropub in Baltimore’s Mid-Town Belvedere, with striking white walls, an open-floor plan, and bright pink and blue accents. The art on the walls breaks up the expanses of white and the long bar provides a lively contrast. There are 20 beers on tap, constantly revolving, with a larger list, published online, of what is coming next. Their cocktails are a story in itself, interesting and unusual. The bar snacks and larger plates are elevated pub grub – you will find perfect comfort food such as shrimp and grits or confit chicken wings. It is a striking place in many ways but well worth checking out for the carefully selected beers on tap and striking bold choices, in decor, in beer, and in food. It is an educational experience, just as its owners planned. The George Peabody Library is located on East Mount Vernon Place on the Peabody Institute campus. It is John Hopkins University’s 19th century research library, and it is open to the general public. The library’s collection contains 300,000 books, most of which are from the 19th century and some of which are early printed books. Completed in 1878, the building has become well known for its beautiful and ornately decorated interior; the ceiling of the atrium soars 61 feet above the black and white marble floor. Because of its refined beauty, the library is a popular venue for weddings and other special events. It is open from Tuesday to Friday. Top of the World is the observation level of the Baltimore’s World Trade Center. Located on the 27th floor, Top of the World is one of the best places to see Baltimore in all its glory, and to watch fireworks, see an exhibition, or attend a party. With its huge windows, this 1,000 square-foot space offers spectacular 360-degree, panoramic view of the city, Inner Harbor, and even Chesapeake Bay. Top of the World is also a popular venue for various events, from 4th July celebrations to various art exhibitions. The observation level can be rented for special events for up to 250 people, and you can choose any caterer you like as long as it is on the approved list. The Baltimore Office of Promotion & The Arts manages Top of the World. 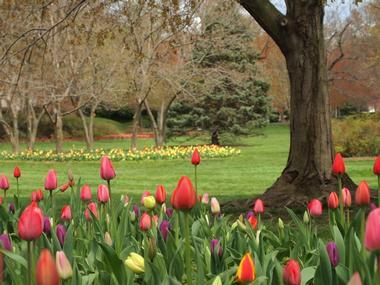 Sherwood Gardens are a beautiful destination year-round but visiting the gardens at the end of April or the beginning of May is a truly dream-like experience. Imagine the sight of 80,000 tulips, hundreds of azaleas, mature dogwood, and flowering cherries in full bloom, a blaze of colors and fragrances. This spectacular display is an annual event at Sherwood Gardens. Local petroleum pioneer and conservationist John W. Sherwood, an avid gardener who planted many of the mature trees and plants we can enjoy today, founded the garden in the 1920’s. He began by planting the tulips he brought from the Netherlands, starting what would later become the most famous tulip garden in North America. Sherwood Gardens is part of the Guilford Residential community and is managed by the Guilford Association. Access to the gardens is free.